Bloggers event courtesy of Riverside Walk Restaurant. Invited to sample the food and drink at the recently redeveloped Kingston Riverside Walk. 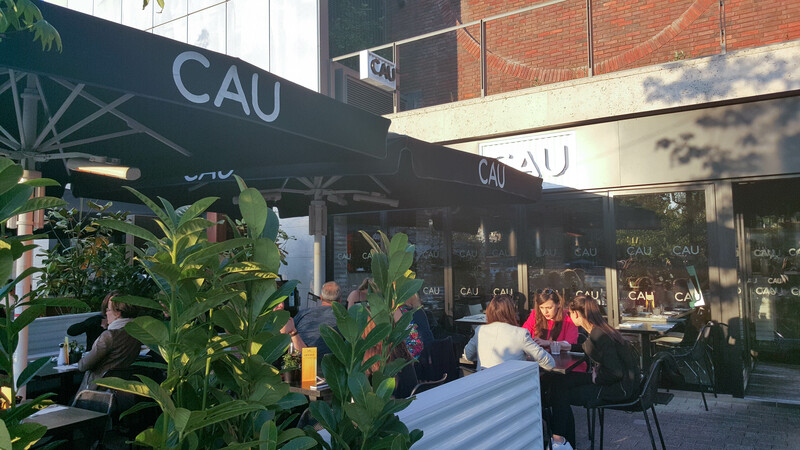 First stop was Cau, Brazilian cuisine. 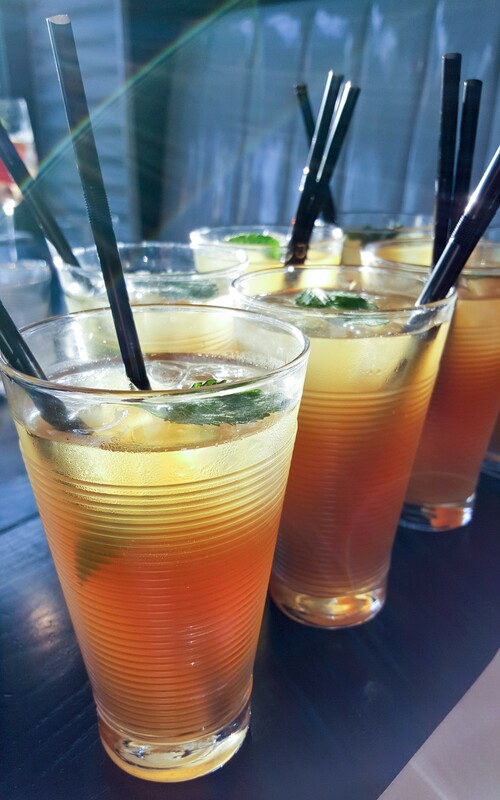 Sadly we missed the earlier samples of chicken, lamb and beef, but we did try the delicious Patagonian Mule cocktail, packing a punch with a ginger kick – worthy of a London cocktail bar! 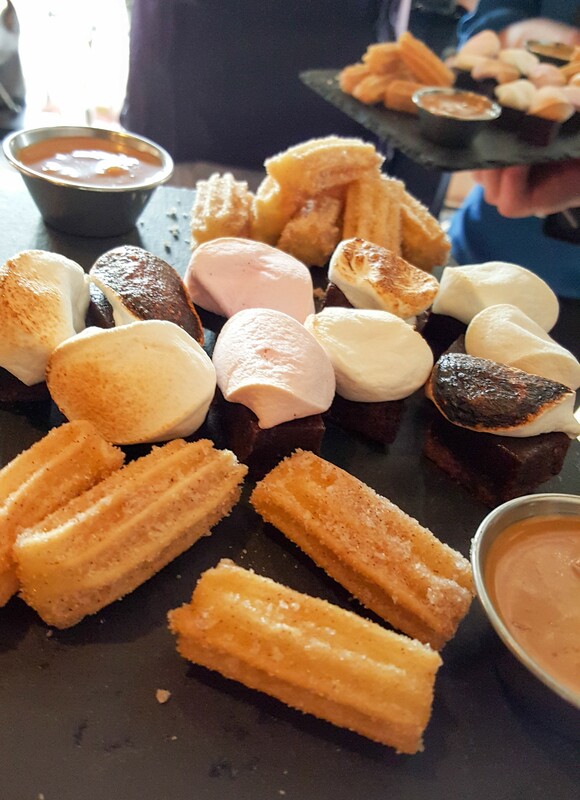 Next we tried a sampling of their desserts; brownies topped with melted marshmallows and churros with dipping sauce. The brownies were moist and delicious, albeit a bit sickly sweet with the marshmallow topping. The churros were fresh, crunchy and went perfectly with the delicious sauce. 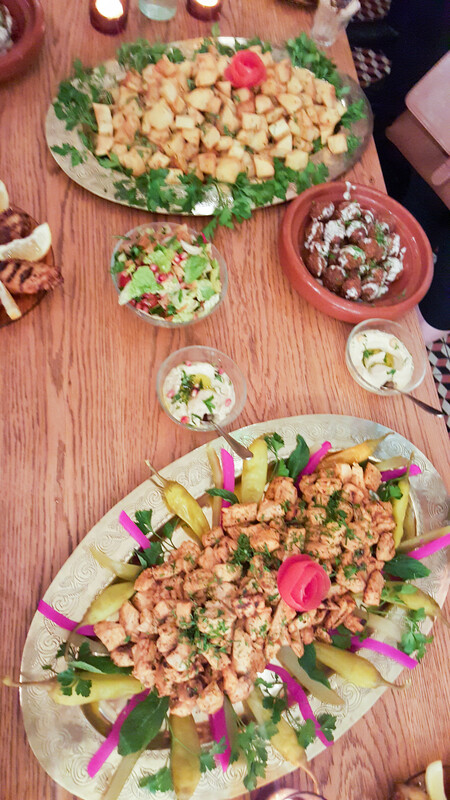 Next we went to Comptoir, a Lebanese and Middle Eastern restaurant. The restaurant itself was charmingly decorated, with cafe-like seats, handmade bags displayed everywhere for sale and various cooking utensils and ingredients for sale as well. 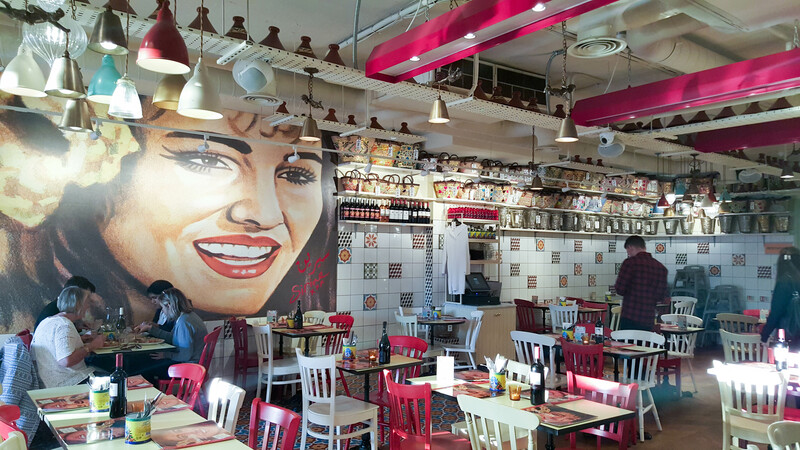 The middle eastern music added a nice touch, although the decor made it look slightly more like a cafe – not somewhere I would go for an evening meal. As we were told at the start, “the main concept of lebanese food is to share!” Here we sampled small plates of middle eastern classics alongside baskets of fresh pitta bread; humous, falafel, lamb kofta, spiced potato cubes, green salad with pomegranate seeds, chicken breast marinated in harissa sauce and cinnamon spiced chicken wings. 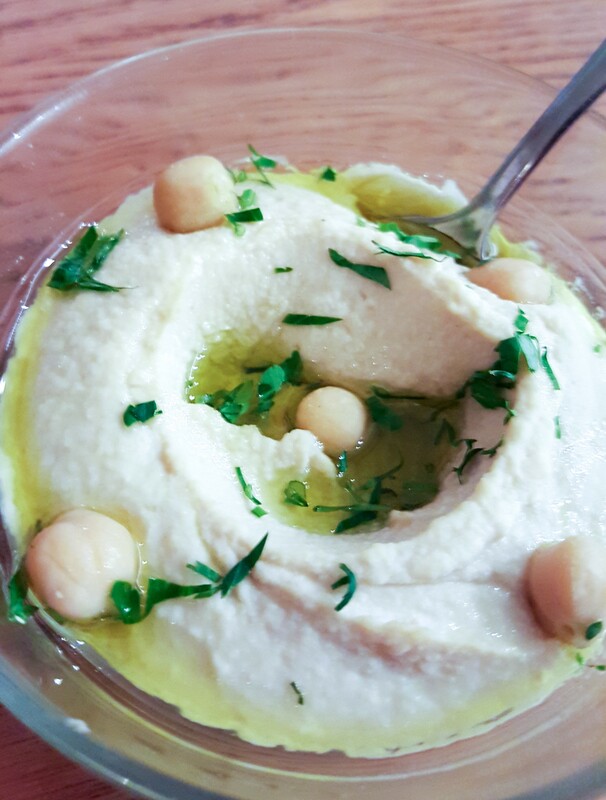 The falafel and humous were very average but the highlight for me was definitely the flavourful baba ghanoush and the succulent chicken wings, I went back for seconds! We were also served 3 different types of lemonade, all available on the menu and definitely a reason for me to revisit Comptoir. 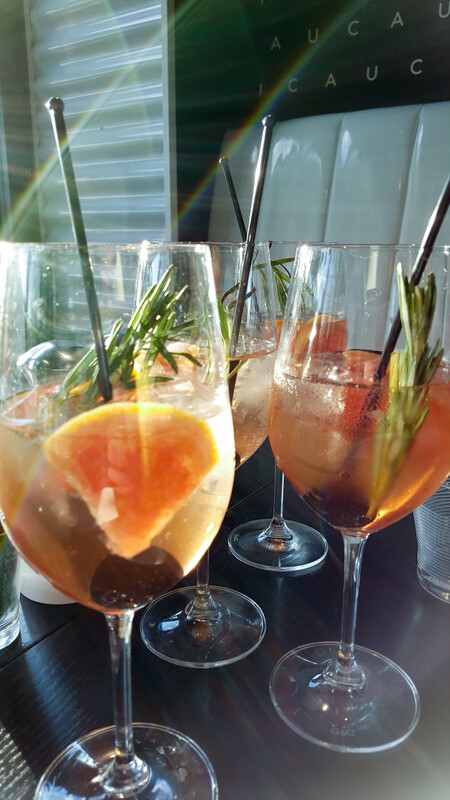 The pomegranate and orange blossom was by far the most exotic and delicious. A quick side-note here, you absolutely have to visit the bathroom here, gorgeous wallpaper using old movie posters from Lebanon. Finally we moved Côte for dessert and wine. 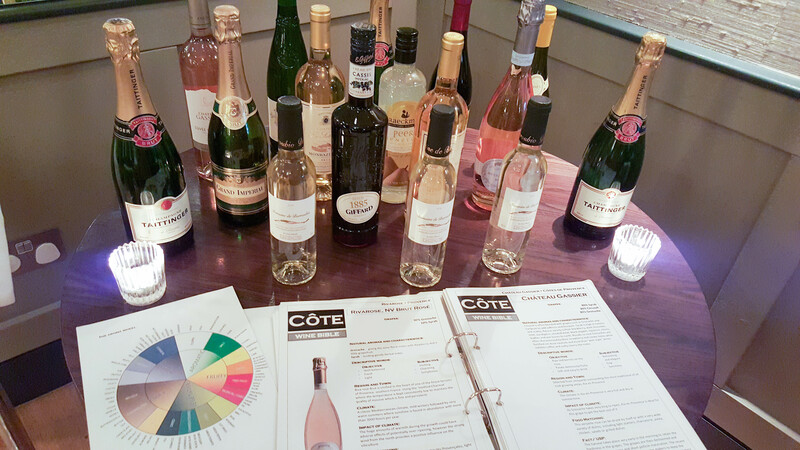 The charming waiters and waitresses served us dessert wine first after explaining all the subtleties that go straight over our heads with wine tasting. It was intensely sweet, almost too much despite my sweet tooth, but it went absolutely perfectly with the first dessert we were served, their signature Creme Caramel. As we were proudly told, it is made fresh every day by their chefs on site using fresh cream. Alongside this we were served chocolate mousse dusted with cocoa power. Whilst it was creamy and light, the mousse was distinctly average. However the Creme Caramel was amazing. I have never liked Creme Caramel and not once have I ordered it off a menu; I would come back to Cote just to have it again. Deliciously creamy yet very light, the texture was unlike the usually jelly-like creme caramels you may get elsewhere. Overall it was a fun evening, and it certainly promoted Kingston Riverside well. Situated right next to the Thames and fronted by trees full of fairy-lights and a lit up bridge, the row of restaurants promises something different for everyone, catering to all tastes and occasions.